Also nice amount of Switches sold! Pretty low new 2DS sales tho. As said in previous thread, great debut for Splatoon 2, and great Switch sales too. Now, to see how it goes in the next few weeks. Oh, and ok debut for Layton I guess. Down compared to latest entry, but competition from smartphone is partly to blame I assume. Was expecting something closer to 50k, so I guess lowered expectation and all. Nintendoomed, not even 100K Switch sold. I expect only 30K for next week. Nice results for Splatoon 2. Looking forward to seeing how high its LTD ends up being. Mario Kart 8 Deluxe the only game increasing in sales, guess people really only wanted Splatoon 2 this week huh? Good numbers obviously, hope the drop won't be too steep next week, but that depends on stock huh? Splatoon 2 did amazing, holy!! Why did this Fate game have to release with Splatoon? Anyway, great number for Splat, next week is more interesting to me personally. Switch owners so thirsty they buy broken software confirmed. I expected Lady Layton to do better than 70k to be honest. The Layton games always did very well on DS and 3DS, but I guess most of its audience has transitioned to mobile (on which the game is also available of course, which wasn't the case with previous games). I underestimate Switch and overestimated Splatoon! Depends on if iOS/Android are equally tepid. Why would they released Fate on the same day as Splatoon and not earlier? It had a release on smartdevices at the same time for a lower price, so that might've eaten some of the sales. Keep in mind, this also released on mobile and we all know how much Japan loves its mobile gaming. Surprised Zelda is seeing a drop despite all those new consoles. Thought that would be a good compliment to Splatoon rather than Mario Kart. Little known fact (I think), Layton was the best selling 3DS launch game in Japan. Hoping their announce mobile sales sometime in the future. I don't get it...isn't fate extremely cheap in the eShop compared to physical release? Is 10k good for that old F/E port? Fate / Extella is potentially a title that was positively affected by Switch's big hardware week, considering how preorders were looking like. Will Nintendo be able to keep shipping the Switch at this pace, though? We don't need strategy at Marvelous, just do based on your guts. Not bad for Switch HW numbers. Let's see how are they next week. Zelda Switch selling less than last week despite the rise on HW numbers... it doesn't bode well for the 1million LTD road. And congrats to PS4 for the 5 million LTD! 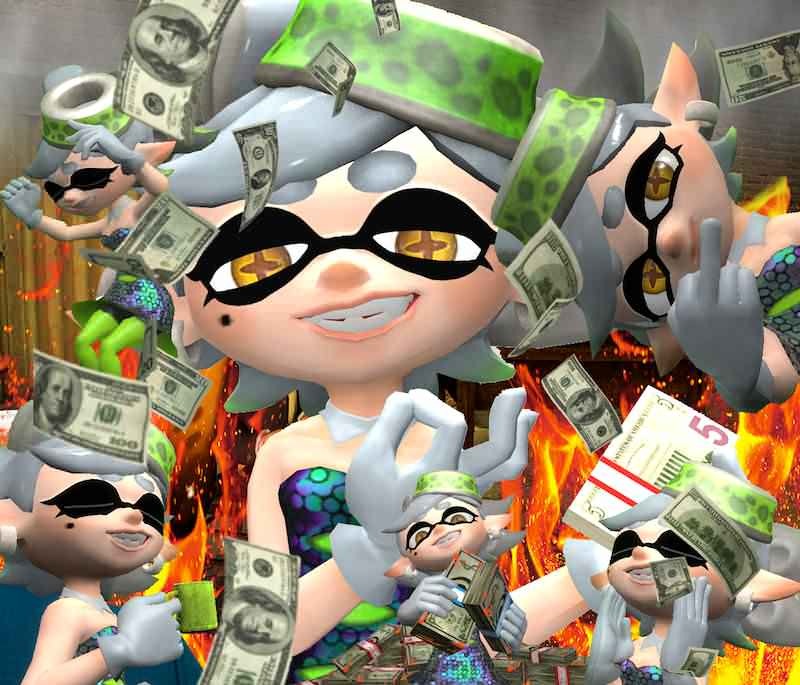 Looks like a lot of people bought switch only for splatoon. If the switch was under supply constraints in Japan, how come there was any bump in HW at all? I think the baseline for the last couple of weeks had little to nothing to do with constraints. How many weeks of extended Switch stock? Just the one? And congratulations to Sony for selling five million PS4 systems of course, impressive. The release of a Splatoon 2 bundle (30K units I believe?) and stockpiling previous weeks, most likely. And for additional context, the PS4 was just over 3.5 million and the Vita was over 5 million. So it's not a Disgaea 5C situation where it sold proportionally to the PS4 version when comparing userbases. Spla2n hitting more than 500K after three days. I wonder if it had a full week would it have been 1m? (Probably was when adding digital sales).